Cruise up to 12,000ft and soak up scenery of all 144 islands that make up the Bay of Islands. All this will be captured through Pictures and videos taken from the perspective of your Tandem Instructors wrist. Plus... a second jumper, one of our professional Camera flyers who will take videos and photos of your skydive. 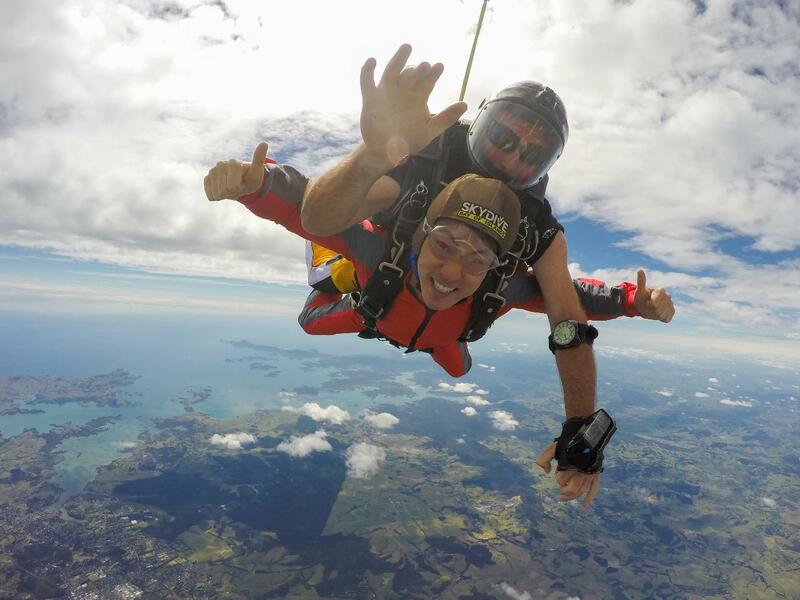 A bonus Skydive Bay of Islands T-Shirt is the icing on the cake.